Christopher Hermann, creative strategist and Virginia Meyer, co-owner of consulting company RedChocolate, facilitated the two-day event with humor and inspiration. 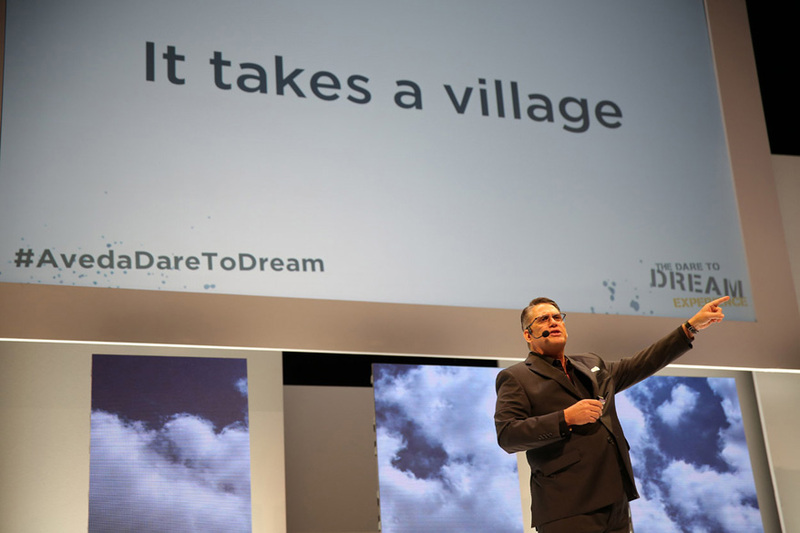 Tom Petrillo welcomed 1,000+ attendees with a promise of two days of powerful content created to help them make their dreams a reality. Cyndi DeSoto, former chief beauty officer at Caruh Salon Spa in Seattle, author and creator of The Significance Movement and Live Like You Matter (livelikeyoumatter.org) was first up in day one’s inspirational line up. DeSoto took the audience through several exercises to better understand themselves, how to improve their communities, and how to make a difference in the world. She also explained the three dimensions of significance and how they are connected to three levels of work. “Level one is the work you do on your self (reflection, meditation, etc. ),” she said. “Level two is the work you do in your community with other people—because no man is an island. And level three is the work you do in the world. It’s bigger than you, and pulls you to be your best self. 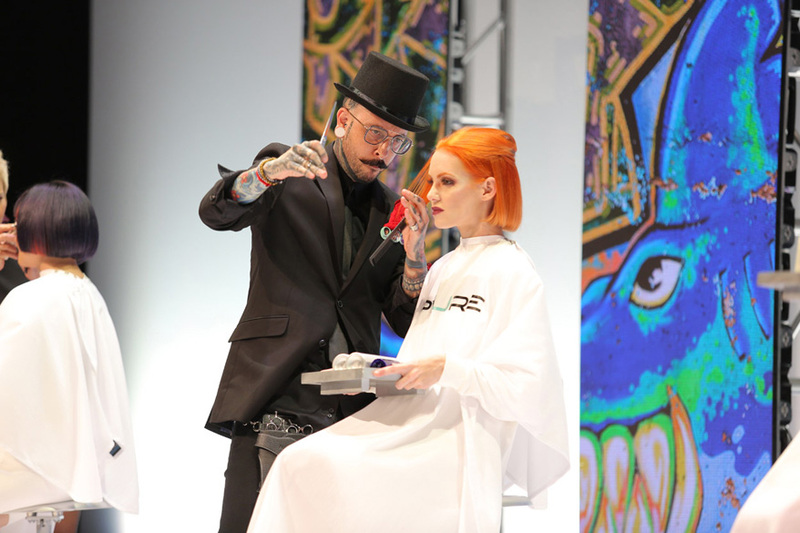 NAHA winners Aisling Campbell (2017 Student Hairstylist of the Year), Heggy Gonzalez (2017 Editorial Artist of the Year) and Robert Grimes (multiple NAHA finalist and award winner, including 2015 Hair Stylist of the Year) shared not just the secrets of their success, but also how they overcame failures. “Every choice is made by love or fear,” Campbell said. 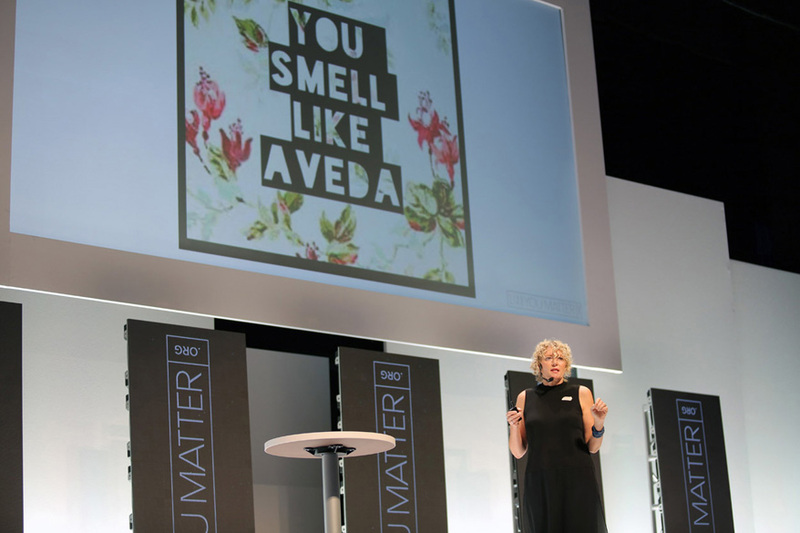 Aveda’s global brand steward Barbara De Laere presented research and information on the beauty industry as a whole and how stylists are in a unique position to cater to changing consumer needs. Millennial consumers seek emotional connections—brands that focus on transparency, experience and community rather than simply quality. 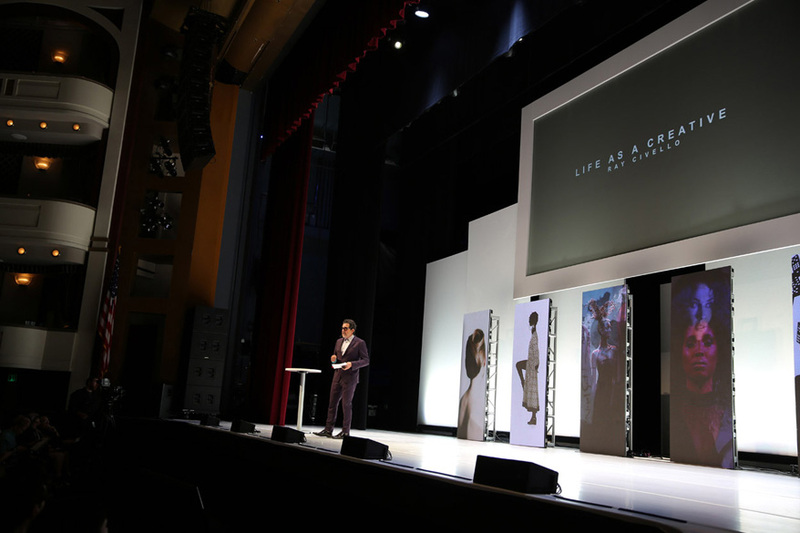 In a world where consumers can buy products anywhere, De Laere says Aveda is more committed to the salon professional than ever. She has no plans to go into Sephora, Ulta, or Amazon. “You can’t digitalize a hair cut or hair color,” she says. “Consumers are so informed now, and they want a consultation—a diagnosis. You give guests an experience, a personalized consultation, expertise and curation, connection and transparency, and an authentic, natural brand,” she said. Day one ended with Ray Civello, president and CEO of Civello and Aveda Canada, giving practical advice on finding happiness in your career. He encouraged the audience to find joy in their work and challenge themselves to overcome complacency. 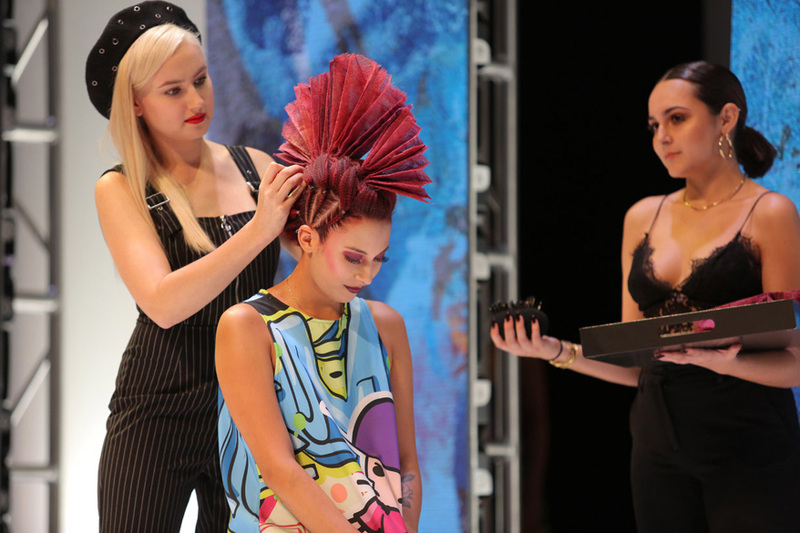 Dare to Dream’s first Best New Aveda Artist Awards, including a special People’s Choice Award were presented in the evening. 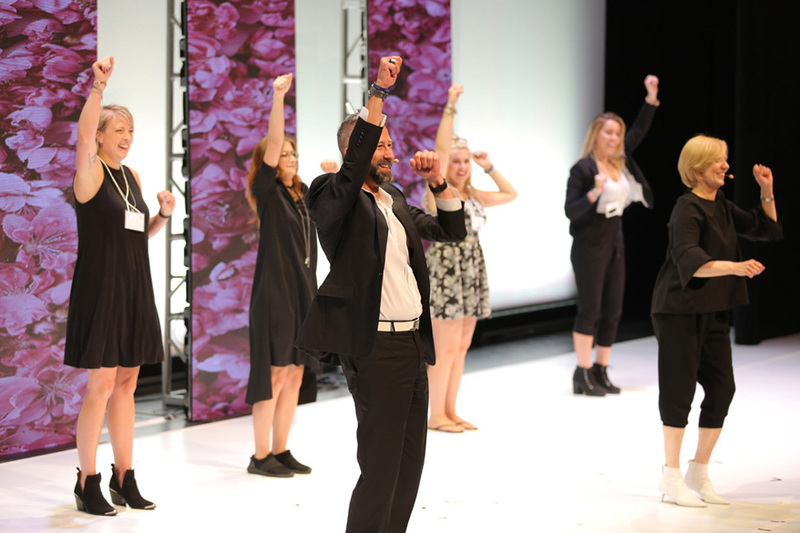 Finalists’ submissions for People’s Choice were printed and given to attendees to vote on during the day, and the winner, Millie Norman of Athena Salon in Tallahassee, won $1,000 toward Aveda education in Florida. Along with Norman, winners were announced in the following categories: social media, men, texture, color, makeup and creative cut. 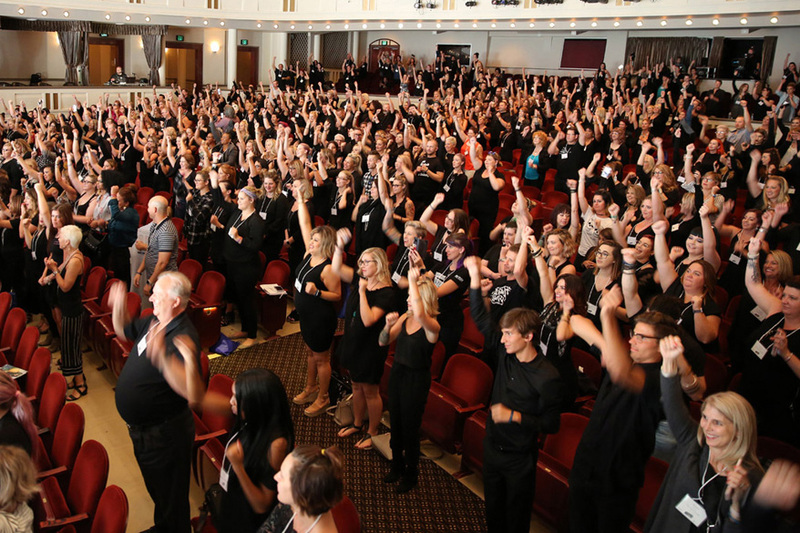 Winners received a free ticket to Aveda Congress. 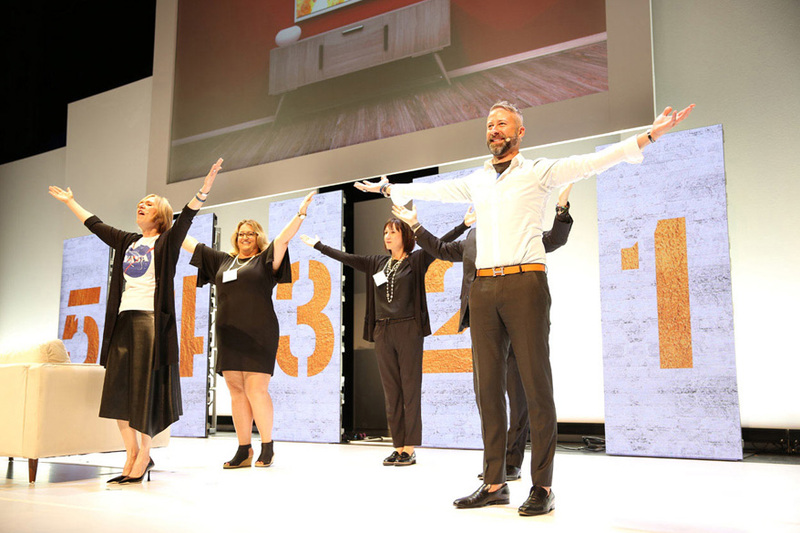 After awards were given, the team from Pyure Salon entertained with an eye-popping, energy-filled presentation. 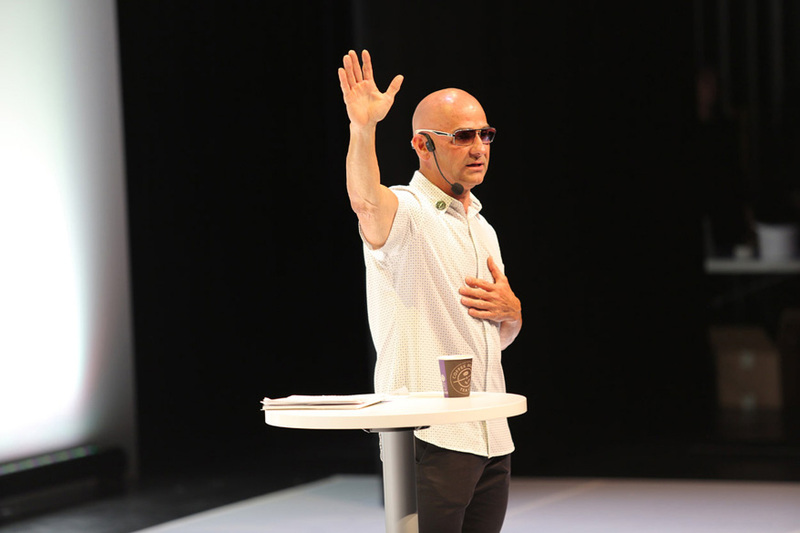 The next morning, Pyure owners Elan Levy and Luca Boccia shared details with the audience of how they designed and rehearsed for the previous night’s performance, and how their dream of performing at Congress will be coming true this fall. 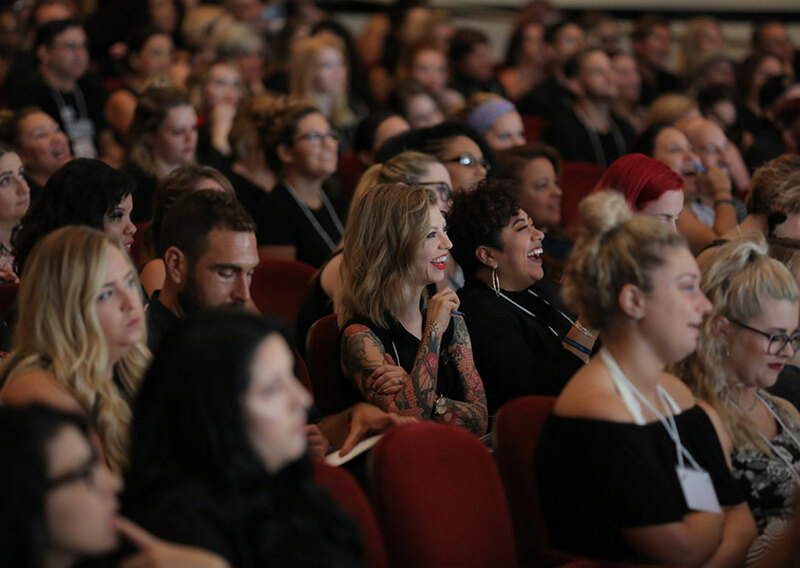 Tatum Neill, creative director at Paris Parker Salons and co-founder of Elevate Hair, brought his social media savviness to the stage to teach stylists how to use Instagram to leverage their careers. “Instagram is a great business tool,” he said. Neill conducted a quick photoshoot on stage using just his iPhone and a couple of apps to create a professional-looking photo of a non-professional model. 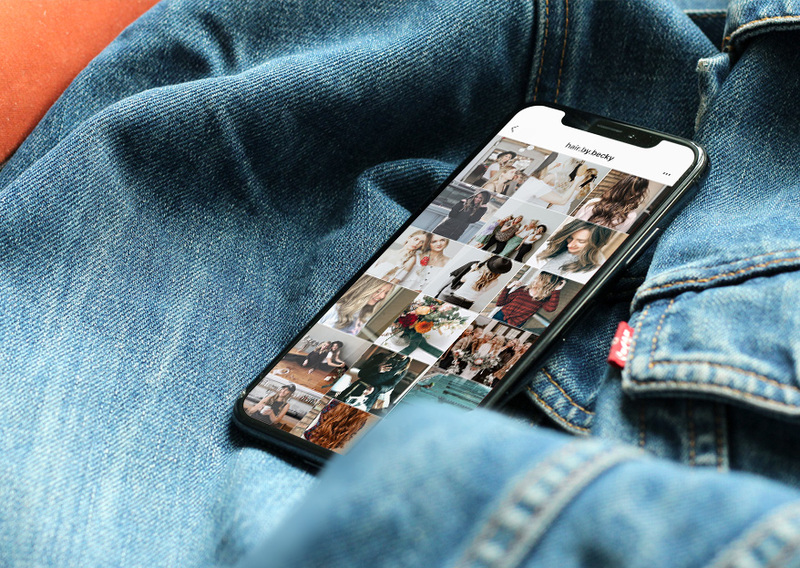 He offered tips on finding models, maximizing the photoshoot with a variety of outfits and how to keep track of your favorite photos on your phone. “You can take a good photo and make it great with two apps: Photoshop Express and FaceTune,” he said. Neill also encouraged stylists to post daily and be aware of their hashtags. 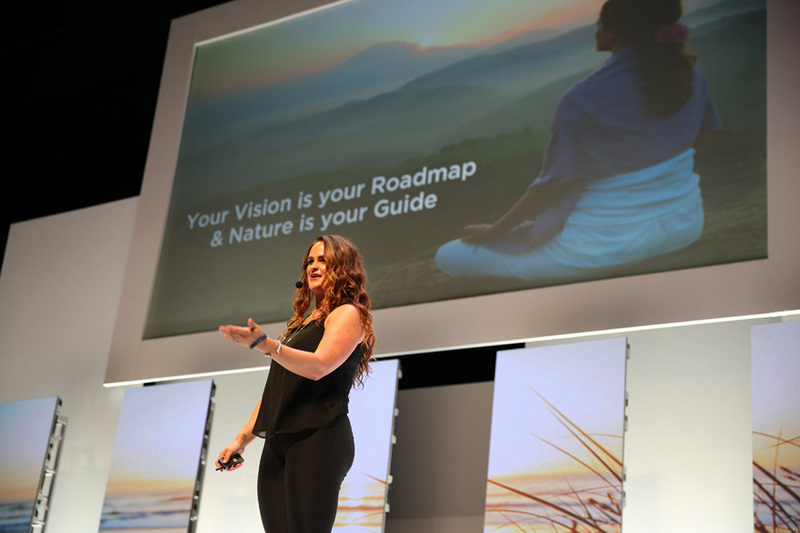 Brittany Adamson Hall, owner of Quattra Via Aveda Salon and Spa in Carlsbad, California, inspired the audience with her personal success story. At a low point in her life, Hall created a vision board of what she wanted her life to look like, including everything from what kind of car she wanted to drive to the type of man she wanted to marry to how she wanted her business to look. The next people on stage weren’t owners. They weren’t motivational speakers. And they weren’t hairdressers. They were three ordinary clients. And they were there to tell the truth. Christopher Hermann took questions from stylists in the audience on everything from communication with clients to how to discuss pricing to the consultation. The clients were also looking for specific information when it came to at-home care. 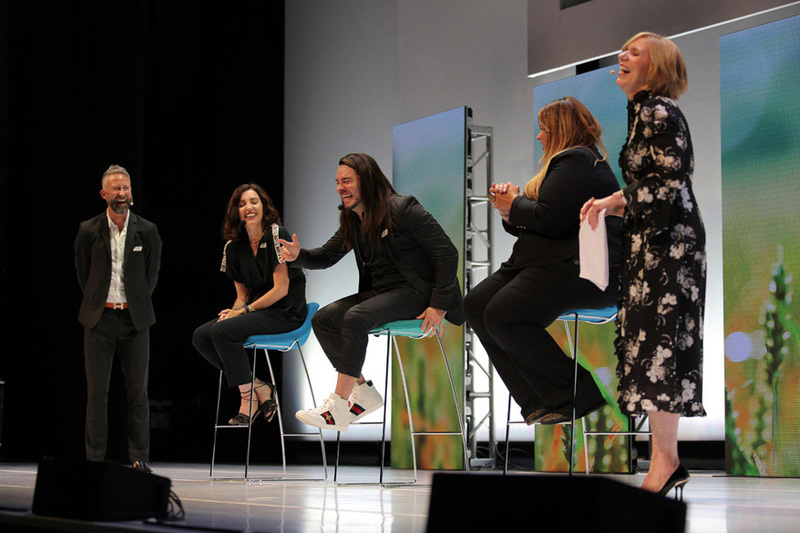 Ian Michael Black, Aveda artistic director; Janell Geason, Aveda global artistic director; and Ricardo Dinis, Aveda artistic director, told personal stories of failure, and how they learned from them. Dinis remembered failing a classic cut test during his Sassoon training, and how he quit on the spot. Fortunately, his father told him quitting wasn’t an option, and to turn right back around and ask for his job back. Black had a similar story of wanting to give up after his dream job at a prestigious salon didn’t turn out as he expected. Instead of participating in a training program, his boss continually sent him to fill in for stylists who were out. Geason’s failure was a bit different. A natural perfectionist, she struggled to be her authentic self when educating large groups. Geason made it through, but her session came off as a perfectly rehearsed monologue. 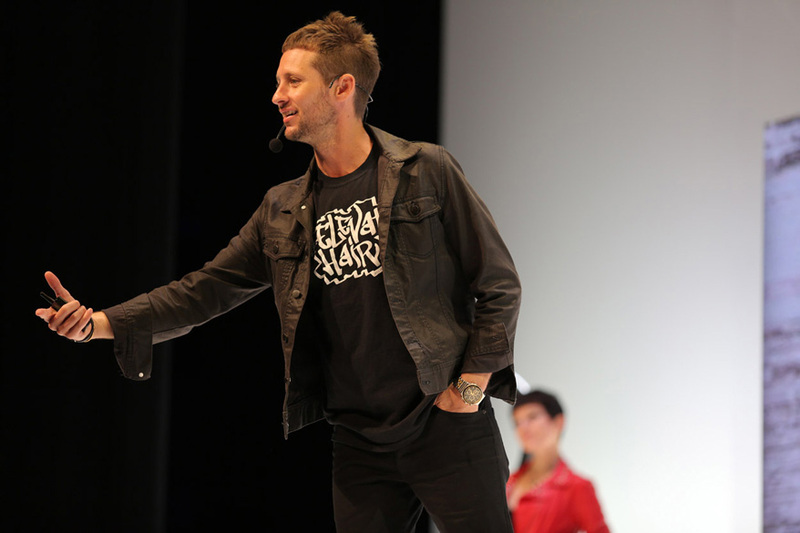 Van Council, owner of Van Michael salons in Atlanta, Georgia and Brandon Darragh, a six-figure hairdresser at Van Michael, platform artist and educator, shared simple differences between good and great service delivery and how to become successful by focusing on the foundational steps many hairdressers miss. “Every day we just have one job, and that is to create value,” Council said. 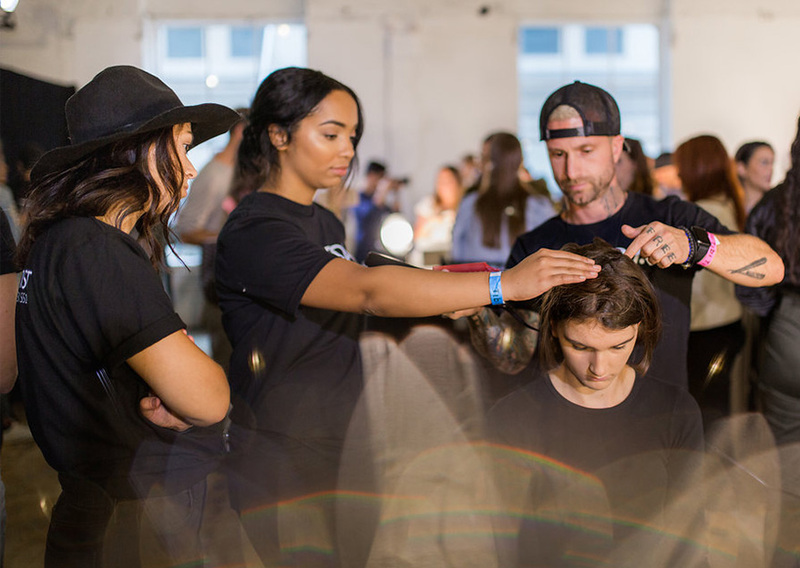 He encouraged stylists to rely on their support system in the salon to gather inspiration. And that creativity extends to guests as well, especially during the consultation. When Darragh took the stage, he admitted he felt a little nervous. Midway through, he lost his place in his notes, and decided to embrace the event’s theme of 5-4-3-2-1, tossed the notes aside and got real with the crowd. 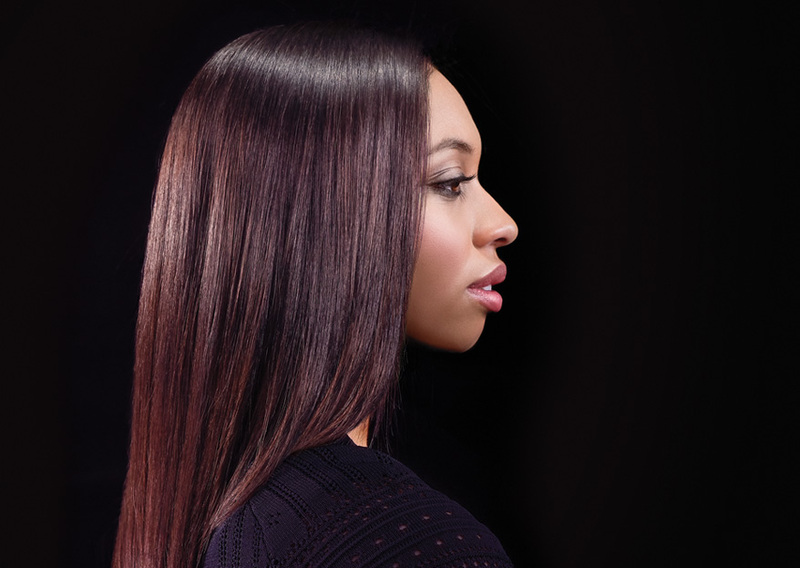 Focus on those important factors, and you will be a successful stylist. Darragh should know. He earns a quarter million-dollar salary. 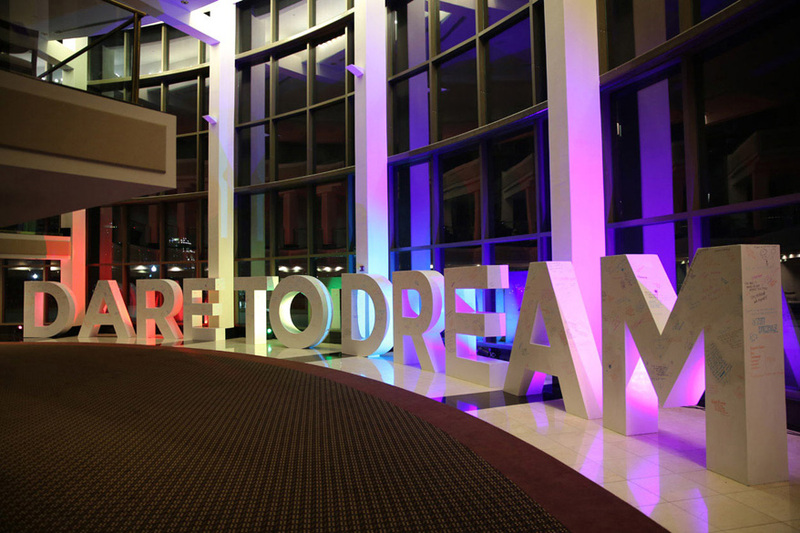 To learn more about this year’s Dare to Dream Experience, visit daretodream.thesalonpeople.com.